EUR/USD extends its gains on news that Italy will not be punished. Hopes for a dovish Fed hike also help. The technical picture has turned positive for the pair. 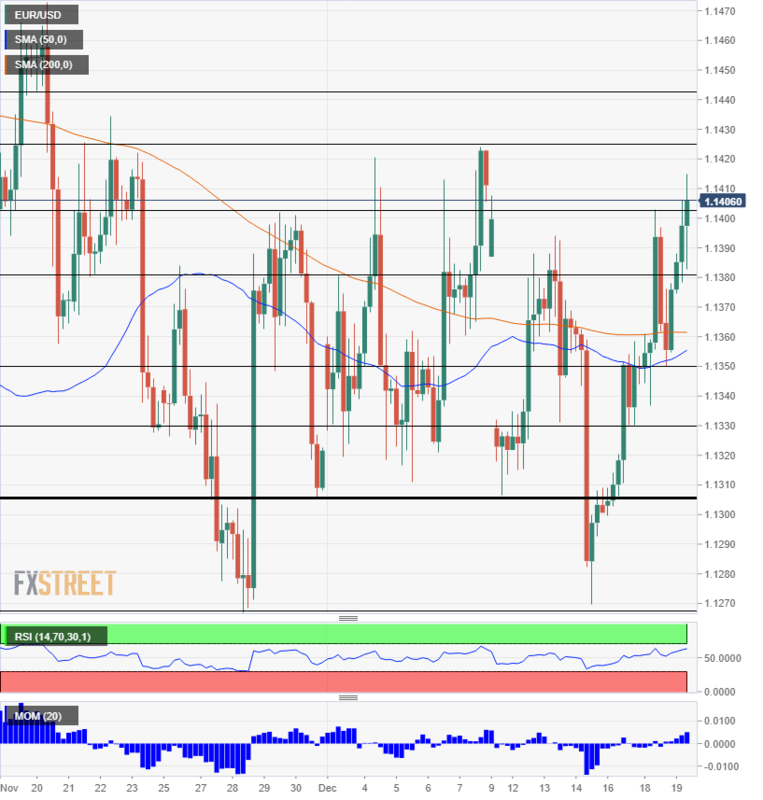 EUR/USD is rising above 1.1400, setting the highest levels in a week. It is uncommon to see significant moves ahead of the Fed decision, but this time is different. The Euro enjoys a substantial development. Italy’s Radiocor reports that the European Commission will not open a disciplinary procedure against Italy. The latest budget from the euro zone’s third-largest economy already consisted of significant concessions towards Brussels. EU Commissioner DescriptionValdis Dombrovskis confirmed an agreement has been reached to avoid an Excessive Deficit Procedure (EDP). The issue has weighed on the common currency for a long time and now allows it to move higher. The spread between Italian 10-year bonds and the benchmark German ones fell below 260 basis points, indicating an acknowledgment by the markets. The second reason to rise is more speculative and may be premature. Markets seem to believe that the Fed will deliver a “dovish hike.” While Chair Jerome Powell and co. will raise rates but slash the forecast for three increases in 2019. The expectations are based on an economic slowdown but may have gone too far. Back in September, the Fed’s dot-lot showed three hikes and bond markets point to no changes next year. The low expectations weigh on the USD Dollar. The outcome may be something in the middle. A small downgrade to two hikes in 2019 could make the doves cry and send the greenback much higher. A cut to one hike would already be a genuine dovish hike. The reaction also depends on the accompanying FOMC Statement and Powell’s press conference. The upward move has improved the technical picture. Upside Momentum has accelerated, and the 50 Simple Moving Average on the four-hour chart is getting closer to the 200 one, closing the gap. The Relative Strength Index is not pointing to overbought conditions.